The Shops at Kenilworth & Baltimore magazine present: Holiday Sip & Shop! 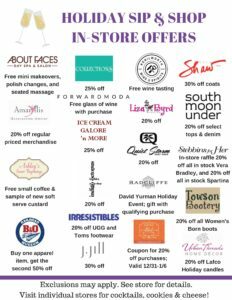 Join us for private sales & specials in The Shops at Kenilworth boutiques! Plus, complimentary champagne, Santa & the Train Garden, refreshments, and free mini-makeovers/polish change/seated massages at About Faces Day Spa & Salon. 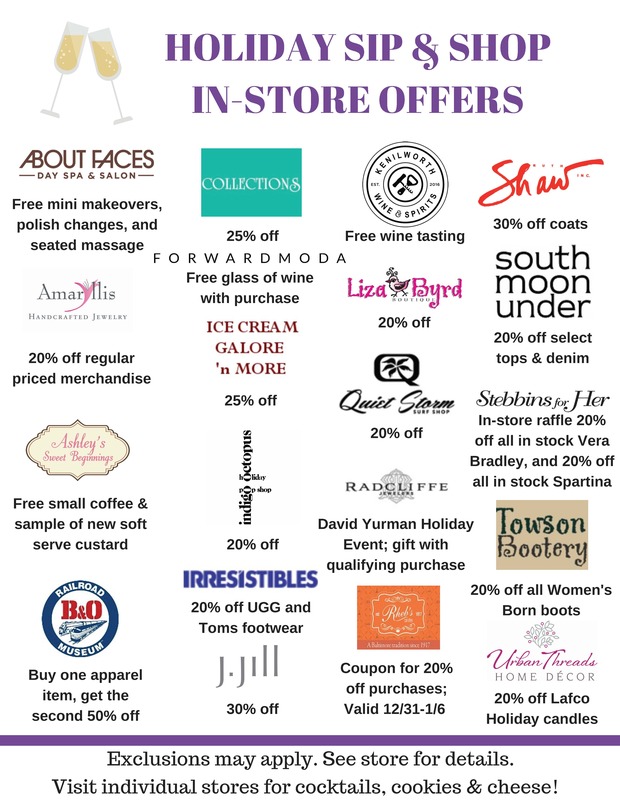 Checkout these in-store events & specials for Holiday Sip & Shop. *The first 100 RSVPs will receive a FREE swag bag at the check in table.